Episode 10 of the NewRetirement podcast is an interview with Mary Beth Franklin. Mary Beth is a nationally recognized expert in Social Security claiming strategies. In fact, she literally wrote the book (“Maximizing Your Clients’ Social Security Retirement Benefits,”) that retirement planning experts use to advise clients on Social Security. Listen to find out why so many people make big mistakes with regards to Social Security and how to get the most out of this valuable benefit. Steve:	So welcome to the 10th podcast for New Retirement. 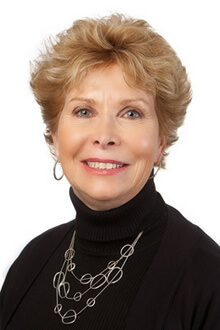 Today we’re going to be talking with Mary Beth Franklin, a nationally recognized expert on Social Security, about how to maximize your Social Security benefit given the recent changes to the program and tax law. Our goal is to help people who are planning for retirement or financial independence with financial insights, stories, and ideas for making the most of their lives. Steve:	Mary Beth is the author of Maximizing Social Security Retirement Benefits, a contributing editor at Investment News, a former tax editor at Kiplinger and a CFP. Some quick things about Mary Beth: she is a dynamo. I recently met up with her. We recently met up face to face at Retirement Income Summit in Chicago. She lives in Washington, DC but also travels with her currently retired husband. We’re going to be talking today about a presentation she actually did at the Retirement Income Summit called “When They’re 64”, which was inspired by a recent get-together she had with some long-term friends. They’ve been friends for 50 years and the topic came up on Social Security since it’s all becoming relevant for their lives now. So that was the reason for the title of that deck. It’s a personal thing for Mary Beth and her friends right now. Steve:	Okay, so before we get started, I have just a couple quick things about Social Security and why you should pay attention to this. Did you know that 85% of people aged 65 and over get Social Security? And the average monthly income benefit is $1400. Among elderly people, 50% of married couples and 71% of unmarried people rely on Social Security for more than half of their income. And you can get benefit that is 75% higher depending on how you claim it. So there’s a huge variability here and it’s a key thing to keep in mind that we’ll be talking about more, is how that kind of impacts the benefits to a surviving spouse. Then finally, it’s the single best source of guaranteed income for most people since it adjusts for inflation and provides survivor benefits. Steve:	Okay so here we go. I’m going to just jump in with some questions. So Mary Beth, welcome to the show. Appreciate you making the time. Steve:	And question number one. For you, since you’ve done a ton of work in this space, what percent of people do you think mess up claiming Social Security? And how do you see them not claiming it optimally? Mary Beth:	Well, first we have to define “mess up”. A lot of people claim Social Security benefits as early as possible, which is age 62. Now for some people that may be appropriate. Maybe they really need the money or they’re in poor health. Those are good reasons to claim early, but as Americans continue to work longer, so many people do not realize that if they claim Social Security benefits before their full retirement age, which is currently 66, so if they claim benefits early, before their full retirement age and continue to work, that is to have earnings from a job, well, then they may lose some or all of their benefits if they earn too much money. And in 2018, too much money is defined at about $17,000 a year. Mary Beth:	So the first mistake I see is people claiming benefits too early, particularly if they’re still working. It’s improving a bit. It used to be everybody claimed benefits at 62 because it probably made sense back then. People were retiring earlier. They had pensions. They weren’t living as long. But in today’s new age of retirement, it may be not such a great idea if you plan to keep working. Steve:	Yep. That is definitely one of the most popular questions we get on our site, which is: how much money can I make if I’m also claiming Social Security and how does it impact me? Can you explain a little bit more about how that works if you’re making money and claiming Social Security and you’re under your full retirement age? Mary Beth:	Right. And the first thing is to define money. It’s your earnings from a job or net self employment income if you work for yourself. It does not count things like pension or investments or other types of income. It’s only incomes from a job. And then it applies if you claim benefits before your full retirement age. If I’m claiming Social Security and I’m 62, 63, 64, 65 and I make more than about $17,000 a year, Social Security is going to claw back $1 in benefits for every $2 I earn over the limit. Sort of a shorthand way of looking at that is if you multiply that earnings limit of the $17,040 a year by 3, it comes out to roughly 50 some thousand dollars. If you make more than that, basically $51,000, you’re going to lose all your benefits. So it makes no sense to claim them early. Mary Beth:	In a sense, they’re not gone forever. A lot of people will say, “Well, I’ll just claim early anyway.” It really is an accounting nightmare. Let’s say you claim benefits early and you forget to tell Social Security you’re going to keep working. And maybe two years later they catch up with you when they compare it to your tax records, and you might get a letter that says, “Hey, Mr. Johnson, you owe us $33,000 in overpaid benefits. We’d like it back right now in a lump sum.” How many people do you know that can write a check like that? Mary Beth:	So that’s why I say, if you’re going to keep working, just don’t claim benefits early. Now in the year you turn 66, in the months before your 66th birthday, there’s a much higher earnings limit. It’s about $45,000 a year and they penalize you less. They only take away $1 in benefits for every three you earn over that. So you can make over $100,000 a year and still get all your benefits. Once you reach that magic age of 66, the earnings cap goes away. So you can collect Social Security and make any amount of money, which is why i tell people, if you plan to keep working, generally it makes sense to wait until your full retirement age to claim Social Security benefits. Steve:	Wow, that’s super helpful. And so what you’re saying is, in this case, the Social Security Administration is pretty good about keeping track of how much you’ve made, how much you’ve claimed, and proactively adjusting your benefits. Because I know from your talk, in some cases, Social Security Administration can give you pretty different answers depending on who you talk to or what the question is. Mary Beth:	Yeah, there’s a difference between Social Security employees giving you advice, which by the way, is not their job. Their job is to process your claim for benefits. When you’re looking for when is the best time for me to claim benefits, that claiming decision, you should be talking to your financial advisor or maybe using some of the online software that will help you make the best decision. But it is not Social Security’s job to help you make that decision. Steve:	Yep. I think that’s a great point. I’ve definitely heard from you and other sources that you can walk into your local Social Security Administration office and if you ask one person, you’re going to get one answer and if you call them up, you might get a different answer. It does go right back to this point that you’re making about is them processing your claim or is it them giving you advice about a really complicated program. Mary Beth:	Right. They’re very good about tracking the specifics because when they process your claim and they will match up your earnings records, even after you claim Social Security benefits, they will continue to track your earnings year after year regardless of your age. And Social Security benefits are based on your top 35 years of index earnings. If your current year of earnings is higher than one of those 35 years using the calculation, it means your future benefits will be bigger. Steve:	Got it. Makes sense. I got a bunch more questions about Social Security but, just for you personally, what led you to get so into this topic? And also, I’d be curious about what is your personal strategy for Social Security? Mary Beth:	This was back in 2008 when I learned all the Social Security rules and I was astounded about how complicated it is. In fact, there’s more than 2700 rules that govern Social Security benefits. And when I was back at Kiplinger’s magazine, I wrote this story about how to maximize your Social Security benefits, four secret ways to increase your benefits. It was one of the most popular stories I had ever written. Mary Beth:	Back at Kiplinger, their rule was if you got a question from a subscriber, drop what you’re doing and answer their question. The only problem was, this was back in the days when people were still writing letters, actual snail mail, and I was getting US mail bags full of mail every week. It took me … I set aside the first hour of every work day for a year to answer their letters. And that’s when I knew I had struck this vein. That Americans were desperate for information about how to maximize their Social Security benefits and they weren’t finding it any place else. Steve:	That’s awesome. That’s an awesome story. And so for you personally, do you mind sharing what your … how you’re going to claim it? Mary Beth:	Well, I’ll be happy to do it. I always joke that I have been told on good authority that my face is on a dartboard at the Social Security Administration offices in Baltimore. I also joke that because my birthday is December 1954, when Congress changed the claiming strategy rules back in 2015, one of the rules said, “Here’s this valuable claiming strategy for married couples, but you can only use it if you’re born on or before January 1, 1954.” Well, I can’t do this and I joke to people that I’m really sorry. Apparently, it’s my fault that everyone born in 1954 or later can not use these strategies. Mary Beth:	So originally my plan was, my husband is two years older than I am. Our Social Security benefits are pretty similar. Under the old rules, our plan was when he turned 66, he would file and suspend his benefits. That means he would file for his benefits to trigger a spousal benefit for me and then suspend his benefits so they would keep growing by 8% a year and at 70, he would switch to his maximum benefit. And when I turned 66, I would use the other strategy of claiming only spousal benefits, meaning I could collect half of his benefits and my own would keep growing by 8% a year and at age 70, I’d switch to mine. Mary Beth:	That was great until Congress changed the rules in 2015. Not going to work anymore. He’s too young to file and suspend. You had to do that by April 2016, but he wasn’t 66 yet. So that’s out the window. And I am too young to claim only spousal benefits. I was born after January 1, 1954, so that doesn’t work anymore. But our plan B is when I turn 66, I will go ahead and claim my Social Security benefits. They’ll be 100% of what I’m entitled to and it doesn’t matter if I’m still working because the earnings cap goes away. At that point, he’s two years older than I am. He would be 68. He is old enough to claim spousal benefits only because he’s born before 1954. So he will file a restricted claim for spousal benefits, collect half of my full retirement age amount, while his own benefits continue to grow by 8% a year and age 70, he’ll collect the maximum benefit. Mary Beth:	As a married couple, we’re coordinating our strategies to make sure one of us gets the biggest benefit possible and in the meantime, we’re creating cash flow for us as a couple by me claiming my benefit at 66. Steve:	Wow. That’s great to hear that and actually understand or see in real life how complex those mechanics are. I’m just curious, you’ve probably done this, but if the old rules were still in place, it sounds like you might be, you would have gotten probably tens of thousands of dollars of additional benefits if they didn’t change the rules? Is that right? Mary Beth:	Under the old rules, Mike and I could have increased our lifetime Social Security benefits, and by that I mean the benefits that both he and I would receive during our lifetime and then after one of us dies, the bigger benefit continues as a survivor benefit and the smaller one goes away. Under the old rules, we could have increased our lifetime Social Security benefits by over $100,000. Under the new rules, since we can only use this ability to claim spousal benefits only effectively for two years because of our age difference, it will increase our benefits by about $38,000, $40,000. Not quite as much as it would have been under the old rule, but still a nice way to maximize benefits. Steve:	Totally. And of course, if you live longer then it makes a big difference, right? Or if one or both of you live a very long time. I think that’s really important for people to understand. You really get one shot at claiming Social Security and so being thoughtful about it and what the interaction is between you and if you’re married, your spouse, can lead to tens of thousands of dollars of extra lifetime benefits if you’re smart about it. Mary Beth:	Right, and also for people like me and like you who were born in 1954 or later, we will never have the opportunity to say, “Let me claim spousal benefits for four years and I’ll get my bigger benefit later.” But even without that option to maximize benefits, it’s still an extremely important decision for everyone to choose the best time to claim benefits based on your personal situation. Because, as you pointed out, the longer you live, the better off you would have been to have delayed your benefits until they’re worth the maximum amount. Steve:	Got it. Okay, well, that’s super helpful. I appreciate it. One quick aside, just speaking of dates, I’ve been reading about how the Social Security trust fund is due to run out of money in 2035 and it just so happens I’ll be 65 right around that timeframe. What do you think is going to happen? Mary Beth:	You have to understand what does it mean … what is the trust fund, to start with? And what happens when it runs out of money? Well, about almost 40 years ago when Social Security really was in danger of running out of money, Congress passed these Social Security reforms of 1983 that puts the system on solid financial footing. And believe it or not, I was a reporter back then covering the Social Security reforms of 1983. I joke that you didn’t know they hired reporters at 12 years old on Capitol Hill, but apparently they did. Mary Beth:	So what they did, which was really smart back then, they looked ahead 30 years and they said, “Wow, we’re going to have about 76 million baby boomers start retiring around 2010. So why don’t we raise the Social Security payroll tax now in the early 1980s and stockpile this extra money that we don’t need now, so when the boomers start retiring around 2010, we’ve got this cushion.” Which was a great strategy because over all those years, the surplus money was built up in the trust funds. Mary Beth:	Then around 2010, two things happened. Baby boomers started retiring, which meant they weren’t working and paying money into the system, and for the first time, they were pulling retirement benefits out. And also, there were a lot of people that were reeling from the great recession where they had lost their jobs, which meant a lot of people were not paying into the system because they weren’t working. The combination meant for the first time, the revenues that come in from payroll taxes, those FICA taxes you see on your paychecks were not sufficient to pay all the promised benefits. So for the first time, they started drawing down these surplus funds that we call the trust fund. Mary Beth:	Well, those trust funds, and this is the key, if Congress does nothing between now and 2034, will run dry. And by that point, there would be enough revenue coming in on a daily basis from the FICA taxes to pay about 75% of promised benefits. That does not mean you would get no Social Security benefits. You would get about three-quarters of your promised benefits. So let’s stop right here. Nobody is going to be satisfied with three-quarters of their promised benefits. And I guarantee Congress will step in some time between now and 2034. It might be 2033. They’re not really good about acting ahead. Mary Beth:	Frankly, the sooner they act, the better off we all be, because there will be changes going forward and the longer we have to adjust to them, the easier it will be. Congress seldom changes things retroactively, meaning that people that are already receiving benefits or are close to receiving benefits probably wouldn’t see a big change. You may see changes to future retirees. For example, maybe the full retirement age, which is currently 66 and is scheduled to go to 67 for people born in 1960 or later. That change would take effect in 2027. Mary Beth:	Let’s change the full retirement age to 70, for today’s two year olds who are going to live to 120. They’ll get used to it. If we do things far enough in advance, we can adjust. For example, the 1983 Social Security reforms nearly 40 years ago, are not fully implemented yet. That last change that they approved, raising the full retirement age to 67, takes effect in 2027. Steve:	I’m curious from you, to get your thoughts on, what do you think the main milestones are someone should think about when they’re looking at claiming Social Security? Mary Beth:	Well, as I created this whole pre-retirement checklist built around that theme of when I’m 64, just like the old Beatles song, When I’m 64. It’s a good time to read the meter and figure out what you need to do because retirement decisions are complicated by the fact that more Americans are working beyond the traditional retirement age of 65. That complicates things because you still need to sign up for Medicare under most circumstances when you’re 65 or else you may face lifetime delayed enrollment penalties. Now, the exception is if you are still working or your spouse is still working and you’re covered by group health insurance through your current employer, not your former employer, your current employer. Mary Beth:	If you are covered by health insurance, you can delay enrolling in Medicare penalty-free until that insurance ends. So that’s one decision. I’m 64 years old, will I still be working at 65. Will I have health insurance through my current employer? Next decision is, my full retirement age is 66 or higher depending on my birth year. When should I claim benefits? Well, as we discussed earlier, if I’m still working I probably do not want to claim Social Security benefits until my full retirement age, when that earnings cap goes away. Mary Beth:	But then here’s a much bigger decision. If I’m willing to be patient, I can earn an extra 8% per year, that’s a 32 percent increase in benefits for every year I’m willing to postpone my benefits beyond my full retirement age up until age 70. The difference between claiming Social Security benefits as early as possible at age 62 or as late as possible at age 70, can increase my Social Security benefits by 76% for the rest of my life. I do not know any other investment that can guarantee me a 76% increase in income over an eight year period. Steve:	Right. And that’s also adjusted for inflation, that higher amount if you delay, for the rest of your life. I know that one of the things that we’ll talk about in a little bit, but for married couples it seems like the single best thing you can do is have the higher earning spouse delay until 70 so that the survivor, so their benefits are maximized but also survivors benefits are maximized as well. Mary Beth:	Right. Because it’s important to understand that as survivor benefit, which is only available to married couples and in some cases, divorced spouses, depending on how long they were married, a survivor benefit is worth 100% of what the deceased worker was collecting or entitled to collect at time of death. So as you mentioned, the spouse with the bigger benefit, the longer he or she waits to claim Social Security, the bigger their retirement benefit will be during their lifetime and the potential survivor benefit for their surviving spouse. Steve:	Right. And just to put a bull on this, basically women tend to live longer than men and in most cases, women are making … have total lifetime earnings that are lower than men for two reasons. One is they’re having children and raising them and taking care of them. And two, women are underpaid compared to men. I think they’re paid 80 cents for every dollar that a man is paid right now, which is a whole other podcast topic. Steve:	But back to the original data that for many elderly people, single people, they’re relying on Social Security for more than half of their income, so that’s why this is so important. It’s not for today or when you’re 60 or 70, but it’s when your spouse is very old. You have to be thoughtful about what is going to be there to make sure they have enough income so they’re not destitute. Steve:	Yeah. That’s a great way to frame it up. All right. I have a quick question, though, for you about Medicare since you brought that up. Are you seeing … so your friends that, let’s say, are approaching 65 and many cases still working, are you seeing a lot of them opt to delay Medicare because they want to stay on private plans when they’re working? Mary Beth:	Well, it’s not so much a decision of opting to delay Medicare, it’s more what is your situation? If I am working or my spouse is working and we are covered by that group health insurance plan, we can delay enrolling in Medicare. Now in many senses, that may make sense because how much I pay for my Medicare premiums is tied to my income. If I’m still working, my income may be higher than it would be later when I retire, so I might be paying much more for Medicare than I need to if the premium I can get through my group health insurance is a better deal. Mary Beth:	Now if I’m working for a small business, guess what? I don’t have that option because Medicare defines group health insurance as a health insurance plan that covers 20 or more employees. Say I’m working for a small business with 10 employees, I don’t have the option to delay. I must enroll in Medicare at 65 and if I don’t, I am going to face lifetime delayed enrollment penalties that will cost me 10% for every year I was eligible to enroll in Medicare and didn’t. Mary Beth:	Say I enroll in Medicare at 70 instead of age 65. That’s five years late. I will be paying an extra 50% per month for my Medicare premium every month for the rest of my life. Steve:	Wow. Why do these penalties exist? I would think it would be better for people to be, for the government right, to have fewer people claim. Mary Beth:	Well, it’s a basic insurance risk pool. They don’t want people to wait until they’re old and sick to enroll. They want people to enroll as soon as they’re eligible so they have a broader, healthier risk pool. Steve:	Got it. Totally makes sense. Okay. That’s super interesting. We’re going to have to have a totally separate podcast around Medicare and how to claim it because that’s a super complex topic. Steve:	All right. So we’ve talked about claiming ages and the delayed retirement credits that lead to higher benefits. Anything you want to call out for married couples that you think people should keep in mind? Mary Beth:	Well, for married couples as we discussed earlier, it makes sense for at least one spouse to delay up until age 70 if possible, preferably the one with the bigger benefit. I don’t believe both spouses have to delay. I believe in hedging your bets, get some cash flow coming in now, delay until 70 for the other one. Mary Beth:	The really important thing is for eligible divorced spouses. I see so many divorced spouses who never realized that they were eligible to claim Social Security benefits just as if they were still married. The key is you must have been married at least 10 years, divorced, and currently single. Even if you remarried, and that second marriage ended through death or divorce, now you’re currently single. You can still claim Social Security benefits on a prior marriage where you were married for at least 10 years. Steve:	Got it. Does your ex-spouse have to be claiming for you to make a claim? Or you can just go ahead and claim it? Mary Beth:	Well, Congress thought that might be a problem. So they made a special rule for divorced spouses. They said that in addition to being married at least 10 years, divorced and currently single, if you have been divorced for at least two years and both of you are eligible for Social Security, meaning you’re at least 62 years old, you can collect on your ex’s earnings record even if your ex has not claimed. That is known as being independently entitled to a benefit. But all the other basic rules apply. Steve:	Got it. Interesting. I’m trying to make sure I fully understand this. I’m actually, it feels like there’s … people are always exploring ways to game Social Security and I’m wondering, is there a strategy where you could intentionally get divorced and then file a spousal claim? Mary Beth:	Believe it or not, I have lots of people write to me asking whether it’s worthwhile to get divorced so they can both claim spousal benefits. And my answer is really, “How much are your legal fees going to be?” This is a valuable strategy, but it’s not that valuable. And I do say, I think the more important end of the equation is if you’re in a marriage eight, nine years and your marriage is falling apart, string out that paperwork so you’ve got at least 10 years between the day you were married and the final date of your divorce decree. Because otherwise, if you were married nine years, 11 months, and 29 days, you are not going to be able to claim benefits on a former spouse. Steve:	Got it. So many things to keep track of. Well, I guess it’s good I’m not the only person that’s thinking outside the box. Steve:	All right. Well, that’s super helpful about divorced people. Anything else for married couples or divorced couples that comes to mind? Mary Beth:	Well, it’s very important for both married couples and divorced spouses to be aware of survivor benefits. If you have a Social Security benefit based on your own earnings records, you have your own retirement benefit, and then you become a surviving spouse or a surviving divorced spouse, you’re also entitled to a survivor benefit. They are two different pots of money. You can claim one type of benefit first and switch to the other type of benefit later if it would be a bigger amount. And keep in mind, that when we talk about your retirement benefits growing by 8% a year between full retirement age and 70, that does not apply to survivor benefits. Mary Beth:	Survivor benefits are worth the maximum amount if you claim them at your full retirement age. They don’t get any bigger. So for example, if I’m. Let’s say I’m 65 and my husband dies. I might want to claim my survivor benefits at 66 when they’re worth the maximum amount and let my own retirement benefit keep growing up until age 70 and then switch to my own at 70. But maybe I’m somebody who’s been a stay at home wife most of my life and I don’t have a big retirement of my own, the survivor benefit is going to be bigger. Well, if I’m not working, I might want to claim my own reduced retirements early and then at 66, my full retirement age, I can switch to survivor benefits. Mary Beth:	Even though my retirement benefits would be reduced the rest of my life because I claimed them early, if has no effect on my survivor benefits as long as I wait till full retirement age to claim them. I can still get 100% of the survivor benefits. Steve:	That’s interesting. And I remember from your talk that you gave, that you kind of have to know and be proactive yourself because one stat you called out was that there was a study done with the Social Security Administration where they failed to inform survivors in 82% of the cases that were randomly selected that they could get a higher benefit proactively. So they didn’t do it for you. You have to know to go after this. Mary Beth:	That goes back to, it’s not their job to help you figure out your claiming strategy. It’s their job to process your claim. Steve:	Yep. Yep. Got it. I can see why you wrote a whole book about this and why there’s a lot of software out there to help you figure out how to claim this. And just as a quick aside, this is something that we are working on adding to our own retirement planning tool, where we’ll help people think through where their case is and how to be smart about claiming Social Security for you and your spouse. Mary Beth:	Right. There are a lot of tools out there. Some of them charge modest fees and personally, I think it’s worth, 40, 50, $100 to get the right claiming strategy because, we talked about, this could mean the difference between tens of thousands of dollars to your retirement income over your lifetime. Go ahead and spring for the $100 to get the right strategy for you because there are free tools out there, but some are better than others. There’s so many rules and they have to ask the right questions. Mary Beth:	For example, if you’re divorced, were you married at least 10 years? Or maybe if you’re in California and you worked for the state of California maybe as a school teacher, the rules are different for you and you have to make sure you’re using software that is taking all those variations into consideration. Steve:	Yeah. Definitely. Totally important. Yeah, a couple other things here. I know that one thing you called out, like another special situation is, say that someone’s remarried and they have a younger spouse and they have children that are 18, but they can also apply for Social Security. What happens in that scenario? Mary Beth:	That’s a very important thing to know because of the high rate of divorce and remarriage, I often see people, usually men, marrying younger women and having a second family. What so many people do not realize is that if a parent is collecting a Social Security retirement benefit, they are alive, collecting retirement benefit and they have children under the age of 18, those kids are also entitled to a Social Security benefit worth up to 50% of the parent’s benefit every month until they turn 18. So that can make a huge difference in a decision of when a parent claims the benefit. Steve:	Yeah, actually I’ve seen this in my own family where my father remarried and had a second, younger child and he was getting his benefit and she was getting a benefit as well until she turned 18. Mary Beth:	And I jokingly call this the Viagra college fund because it wasn’t that many years ago we didn’t see so many older fathers and younger kids. But you need to use that benefit for the child’s benefit: health, education, maintenance, their general welfare. But that doesn’t mean you can’t take a like amount of money and put it in a 529 plan and save for your kid’s college. Steve:	Yep. That’s interesting. I know one of the things you brought up in your talk was one of the risks to the Social Security trust fund is that this remarriage thing with younger spouses being able to claim benefits based on the older … so you could have a man if he’s married who was a high earner, but he’s married twice or three times. He could start having multiple people make claims on his single earning record. Mary Beth:	Yeah. Think of Johnny Carson. He was married four times. I’m not sure each of his marriages lasted at least 10 years before divorce. But let’s say they did and he had three wives married 10 years each, and then he had a widow. All four of them got to collect 100% each of his survivor benefits. That’s 400% of his survivor benefits. Steve:	Nice. All right. One other thing I wanted to ask you about. I know that the whole file and suspend kind of went away, but there are some situations where people can, I believe once they hit their full retirement age and they’re already claiming benefits, suspend getting those benefits and have their benefit grow until they hit 70, is that right? Can you explain that a little bit more? Mary Beth:	That’s correct. Under the new rules that took effect in 2016, let’s say you claimed your benefits early just because you could and let’s say it’s a husband and he was okay receiving 75% of his promised benefits. But maybe it didn’t occur to him at the time that if he collected a smaller benefit and died, his potential widow is also going to get a smaller survivor benefit. So somebody like that, when they get to their full retirement age of 66, may want to suspend their benefits. That means their benefits stop. They cannot collect benefits on anybody else’s record. No one can collect on their record. Mary Beth:	But in the meantime, their benefits grow by 8% a year up until age 70. So let’s say he collected 75% of his benefit at age 62 for four years then he stops. He collects nothing, but the benefits are growing by 8% a year. That’s a 32% increase. If I multiple that 75% benefit that he got at 62, times 1.32 I come up with 99%. By age 70, he would effectively restore his full retirement age benefit. That’s what he would collect the rest of his life plus any cost of living adjustments. And if he dies first, that’s the benefit his widow will get. Steve:	That’s interesting. We just had a user ask this question, so I think more and more people are becoming aware of that option. Mary Beth:	The key to remember is if you suspend your benefits, your benefits stop and if anybody is collecting on your record, like a wife, her benefits stop, too. So you have to really evaluate the situation. Does it make sense to suspend? It may be a good way to rectify a hasty claiming decision. But I think people are generally better off by making the right decision in the first place. Steve:	Yep. Totally. All right. We have a question from someone on our Facebook group and it was broadly about, how are Social Security benefits taxed? Mary Beth:	Social Security benefits are taxable at a very low threshold that was set in 1983 and has never been indexed for inflation. They look at what they call your combined income, which is everything on your tax return plus any tax exempt interest, say if you invest in municipal bonds, plus half of your Social Security benefits. If all of that added together adds up to more than $25,000 if you’re single or $32,000 if you’re married, some of your benefits will be taxed at your ordinary income tax rate. Mary Beth:	Worse case scenario, up to 85% of your benefits could be taxable. But that compares to, say 100% of the distributions from your IRA or your 401k. Steve:	Got it. That’s super helpful. All right. I think we’ve covered a lot of topics here. Anything that you want to … do you have a top hits of rules you want to cover or anything that I missed or we missed? Mary Beth:	Well, just be aware that if you claim benefits early, they are reduced for the rest of your life and you are subject to earnings restrictions if you claim before your full retirement age and continue to work. And people should be very aware that if they’re eligible for both their own retirement benefit and a survivor benefit, they are two different pots of money and they may be able to choose to claim one type of benefit first and switch to the other benefit later if it would result in a bigger benefit. Steve:	Got it. Yeah. I think one thing that has come up is, definitely more people are getting the message, I should delay for all these good reasons. How do you see people bridging to Social Security? What are they doing to fill that income gap if they delay from 62 to 66 or from 62 to 70? Mary Beth:	Well, for those people who continue to work, the answer’s easy. They just continue to work and have earnings from a job. But sometimes people are retiring and still deciding to delay their benefits, which can be a great decision, but now what do I do for money? Well, it may make sense for some people to start drawing on their IRA or their 401k earlier as a way of buying themselves that extra 8% a year in Social Security benefits. Other people may buy an annuity for a few years. Maybe I retire at 65, but I buy an annuity that’s going to pay out for five years so I can delay collecting Social Security until 70. Mary Beth:	Some other people are taking out a reverse mortgage and using the money from a reverse mortgage, which by the way is free of income taxes, as a way to bridge the gap before they claim Social Security at 70. Steve:	Well, I know that for many people they look at delaying Social Security as essentially the single best annuity you can buy because it’s backed by the US government. Mary Beth:	It’s the cheapest annuity you can buy, particularly when taken to the fact that future benefits are tied to inflation. Most immediate annuities are not, because it’s very expensive to buy an immediate annuity with an inflation adjustment. Steve:	Got it. Besides yourself and your book, what are you go-to sources for staying up to date on Social Security changes and also Medicare changes? Mary Beth:	Well, I actually read the Social Security website and their official operations manual every single day to see what changes they might be slipping through. There are also very good … the Social Security website which is S-S-A, for Social Security Administration, dot gov, G-O-V, actually has loads of information. If any criticism, there’s so much stuff there, it’s hard to find it twice. Mary Beth:	But I think your takeaway for your listeners is if you have not set up a personalized Social Security account, which is the only way you’re going to get your estimated benefits statements, do it right away. For two reasons, you get access 24/7 to this incredibly important information of what your future benefits will be. And you’ll be able to verify that your annual earnings are correct and that’s very important. The other thing is, you can only set up one personal Social Security account per number. And don’t you want to make sure you’re the one to set it up for your number and make sure no hacker is getting there first? Steve:	That’s a great point. Yeah, we actually in our software, we point people to the My SSA site so you can go login and create this. I did this for myself and I know they used to mail you out these statements annually about, “Hey, here’s your earnings record. Here’s your forecasted benefit at 62, 66, and at 70.” Those are gone and you have to get this all online. Mary Beth:	Correct. They do mail them out to some people over the age of 60, but in very limited situations. For everybody else, you have to go ssa.gov to get your estimate. Steve:	Okay. So Mary Beth, just want to say thanks for being on our show Davorin Robison, thanks for being our sound engineer. Anyone listening, thanks for listening. Hopefully, you found this useful. Our goal at New Retirement is to help anyone plan and manage their retirement so that they can make the most of their money and time. We offer a powerful retirement planning tool and educational content that you can access at newretirement.com. And we’ve been recognized as best of the web by groups like the American Association of Individual Investors. Social Security is a big part of a secure retirement plan. Document and maintain a detailed plan with the NewRetirement retirement planner.